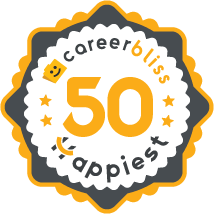 We've calculated that the average salary at Boeing is $75K based on 4,758 user-submitted salaries A total of 709 Boeing employees gave Boeing an average happiness rating of 4.0 out of 5.0. Resume Tip Tuesday: is it Legal For a Job Application to Ask For My Social Security Number? 181 Software Engineers from Boeing submitted salaries. We can't sell, sell, sell (the Work Orders/Completion of Work), without the right tools, materials, fasteners or parts and the Leads, need to do research of the S.O.I. 's before they just hand them out to the different Manufacturing Technician's to do the work. There are a lot of S.O.I. 's that have been passed through numerous different individuals that have caused damage on that specific S.O.I. and it's Materials/Parts and the job can't be done, but none of the damage has been addressed through an Emergent Process Document and the damage is three months old, etc. 2.6 I'm a new employee at Boeing in the Research and Technology division of the company. I also worked for the company in St. Louis, where I loved my job and management team but hated the city. So, I chose to move to Seattle, where I wasn't sure about the job but loved the city. The only problem is that now that I'm here, I find out all engineers are forced to be in a union AND the company hates said union, so is moving most of the research work away from the Seattle area. On top of all of that, the communication between the management teams and the workers (including the engineers, not just the shop mechanics) is TERRIBLE. While we do have great health benefits, the company doesn't really offer much else. Lastly, the company is ridiculously behind in technology. They just upgraded to Windows 7 two years ago. 3.7 There is a case to be made for whatever opinion you have about Boeing. It was a great place to work with good people. When I first got to the organization they thought it would double in size. Then half the org's budget got taken for something else and the budget got cut in about half every year after that. They have said the org will go away in 2016 and that may be Boeing's plan but I do not see how that is possible since they do not yet have replacement apps for some of the critical things that org did/does. I suspect it will continue to live on in some sort of half life state while they ramp up its replacement. The replacement may be fine but you would really want to check on the long term viability of the org you are going to before jumping in. This uncertainty is the main reason why I said no to the CEO. Boeing is the world’s largest aerospace company and leading manufacturer of commercial airplanes and defense, space and security systems. Additionally, Boeing designs and manufactures rotorcraft, electronic and defense systems, missiles, satellites, launch vehicles and advanced information and communication systems. As a major service provider to NASA, Boeing is the prime contractor for the International Space Station. The company also provides numerous military and commercial airline support services. Boeing has customers in more than 90 countries around the world and is one of the largest U.S. exporters in terms of sales. 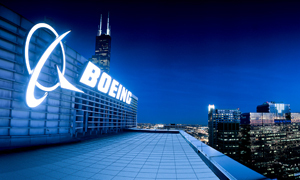 Headquartered in Chicago, Boeing employs more than 170,000 employees across the United States and in 70 countries. 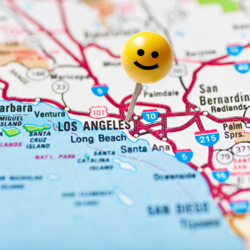 This represents one of the most diverse, talented and innovative workforces anywhere. More than 140,000 of our people hold college degrees — including nearly 35,000 advanced degrees — in virtually every business and technical field from approximately 2,700 colleges and universities worldwide.